Wouldn’t it be wonderful to live in a type world where everyone said sweet words, doors were always held open, there was no bullying, and peace reigned supreme? Sure, that’s a dream world, but it’s one you can at least aim for in your school, home, and neighborhood. By showing respect and empathy, you can have a huge impact, turning those words into acts of kindness. Julie Kaufman of the Random Acts of Kindness Foundation in Denver says, “When you do something for others, it makes you feel good. It benefits both the giver and the receiver.” Those great feelings can snowball into having those around you wanting to do kind things. Kindness is an internal quality we all can strive to achieve. The best way to teach and share kindness is to be an example. It’s important to show people we care. While big and extravagant gifts are one way, it’s the small things we do every day that are the most important. You don’t need to be creative, have a big budget, or heaps of bright ideas to show someone you care for them. • Think of the things people have done for you that have meant a lot; share those memories with your children and explain how they made you feel. Often, what stands out aren’t the extravagant things, but the simple things. Perhaps someone gave you a hug when you had a bad day, or a total stranger may have smiled at you when you were down and it brightened your day. • Include your children when you do something nice for a friend, neighbor, or family member. Whether you run an errand, bake cookies, or send a card, let your kids know it feels good to help others. • Share how volunteering your time is important to you, whether it be in your community, work, or school. Even young children can help gather canned goods, used clothing and toys, or make cards for a nursing home. As they work, ask how they think the recipients will feel when they receive it. 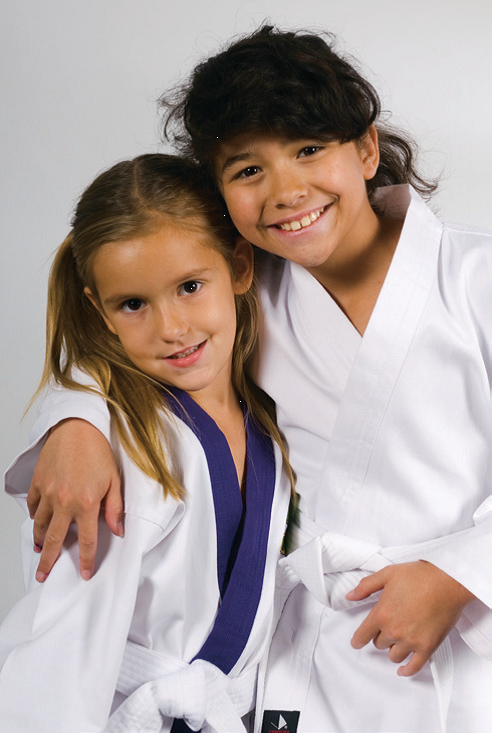 Are you looking for a Martial Arts School that emphasizes kindness and character development? Then give us a call right now at 757-410-4999 to find out how you can get started in one of our incredible programs today! Join the fun at King Tiger Martial Arts where you’ll experience expert training in a fun, positive and supportive environment suitable for everyone in your family. Or simply fill out the box in the upper right corner and take advantage of our FREE 30 Day Trial Membership!